The SNAP campaign, the precursor to the I Love Me campaign, was the start of Oldham Youth Council trying to making a difference with Mental Health. 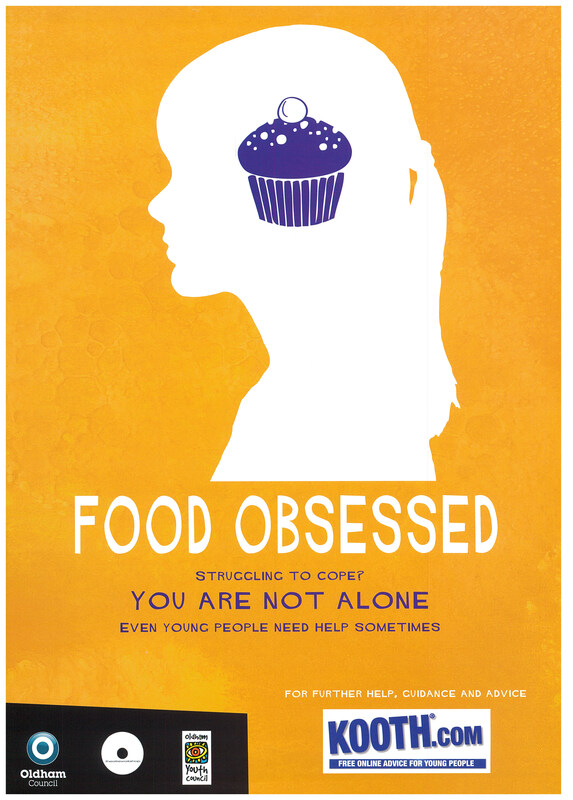 In particular out 2011 campaign looked at and tackled 3 main areas of young people’s mental health: stress & anxiety, depression and eating disorders. The campaign had 4 main strands to try and tackle these issues. Our Town was a virtual suburb of Oldham, inhabited by fictional characters. Stories were written by young Oldham writers, mentored by professional script writers. The drama unfolded daily via a range of social media platforms including Facebook, Twitter and YouTube. 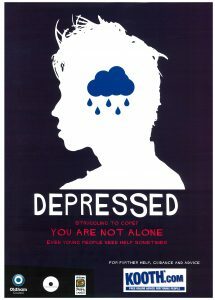 Oldham Youth Council were able to tailor story lines of one particular character called Luke Bramble (check his twitter @LukeBrambleOT) who would suffer from mental health issues, in particular depression. This allowed the others characters and members of the public to be involved with Luke’s life helping him to get better. The hope was that the stigma of mental health would be reduced and awareness raised of were to get help. As well as Luke’s twitter feed, he also vlogged about how he was feeling. These short films can be found here. SNAP also saw the start of Oldham Youth Council’s relationship with the counselling site Kooth.com. 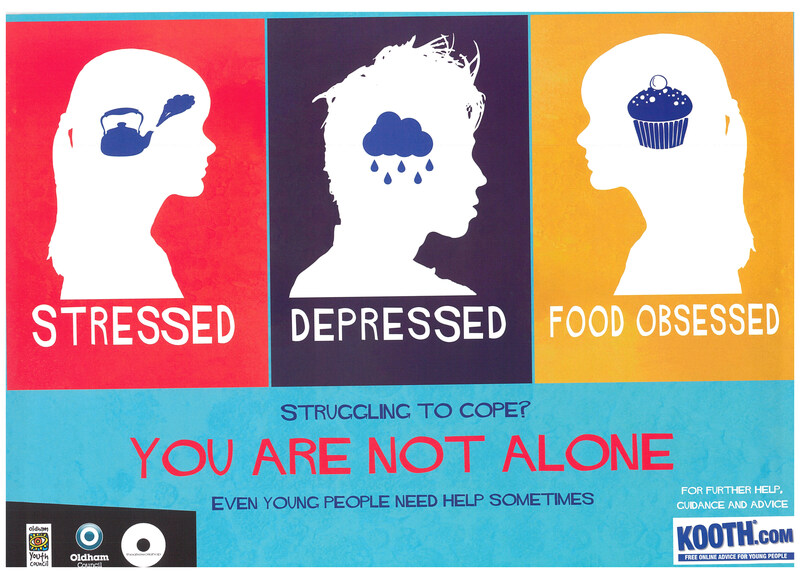 Kooth is an online counselling and emotional well-being support service for children and young people available free at the point of use. An early intervention solution, Kooth helps to reduce waiting times for young people seeking help while removing the stigma associated with accessing mental health support. Initially we commissioned counselling hours for Oldham’s young people for one year, with the plan to monitored it’s impact every 3/6 months. The trial period was such a success that we have commissioned kooth every year since up to the present day. Youth Councillors worked hard to produce many resources that could be used in schools and colleges. They developed lesson plans for teaching staff to be able to deliver session around mental health during PHSE lessons or even during form time. This idea was further developed into a programme so that schools could have their own Mental Health Ambassadors, pupils who could run the session but also be mentors to guide young people to places of help and support. Unfortunately only Oldham Sixth Form College took on the idea having student ambassadors. The resource pack also included an exam stress guide for young people. 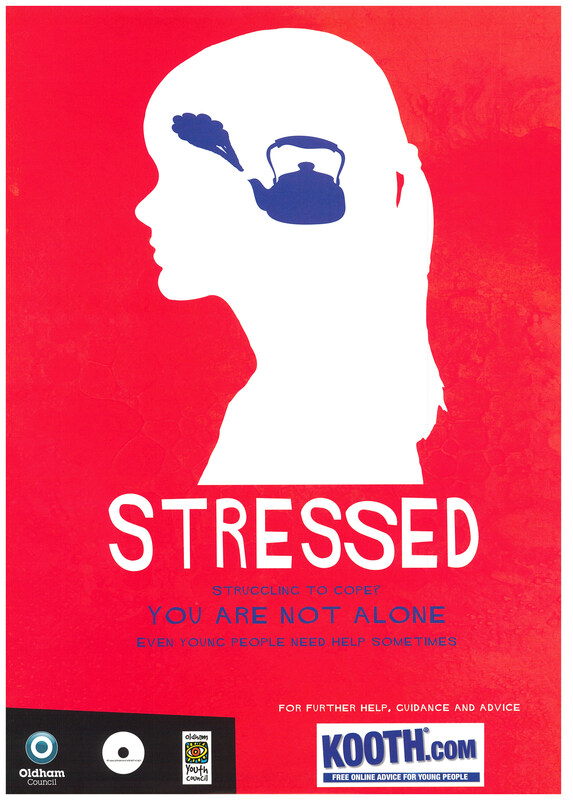 Helping them to cope with the great amounts of pressure they feel during exam times. Finally, to raise awareness of the work the Youth Council was doing, posters were developed to distribute around schools and colleges.